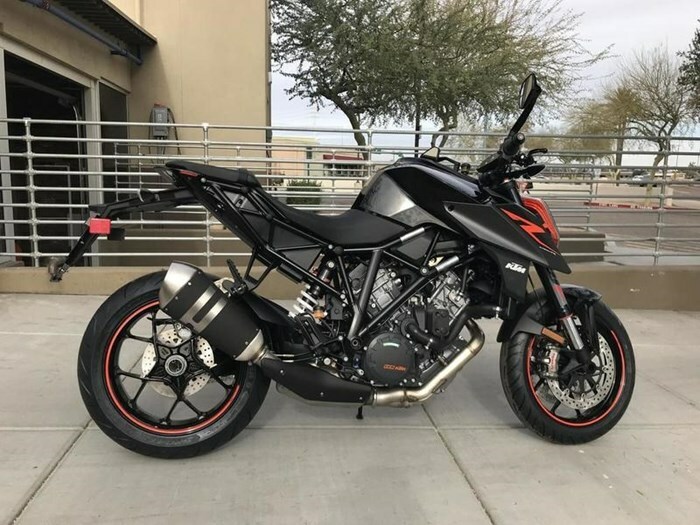 KTM WINTER SALE., SAVE $3,300 ONE UNIT LEFT, First Come First Buy! see in-store or call for details. Available in black or white! 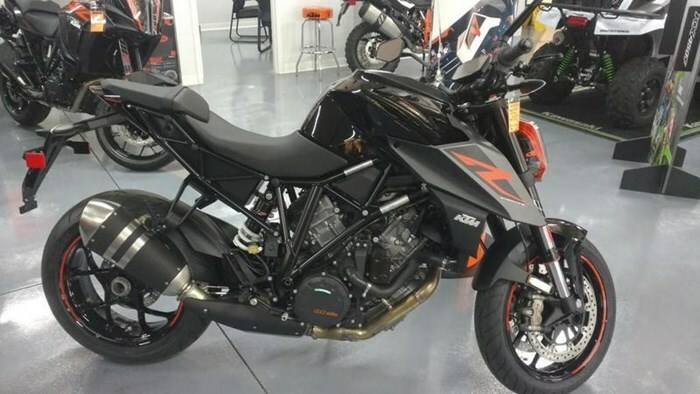 2018 KTM 1290 Super Duke R UNLEASH THE BEAST This is our punk record - pure, raw and straight to the point: speed. Its V-twin, the most powerful one we ever muscled into a street bike, beats the battle drums at 177 hp, while its purebred chassis is set to stay ahead when the straight is devoured. When corners become prey. Even on a bad day, thanks to state-of-the-art rider assistance systems. No, scratch that. Grin amplifiers. Features may include: ENGINE & EXHAUST Fast just became faster. This is our punk record - pure, raw and straight to the point: speed. Its V-twin, the most powerful one we ever muscled into a street bike beating the battle drums at 177 hp. 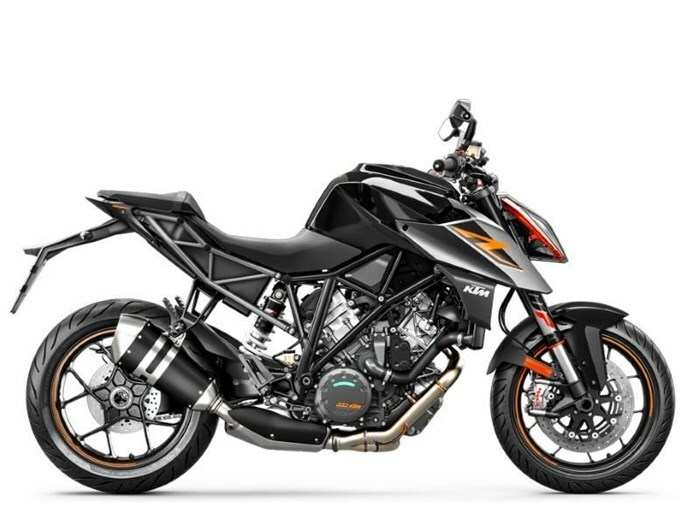 CHASSIS With its ultra-lightweight yet extremely stable trellis frame, a beautifully manufactured single-sided swingarm and state-of-the-art WP suspension components, the KTM 1290 SUPER DUKE R exceeds all requirements for stability and control. 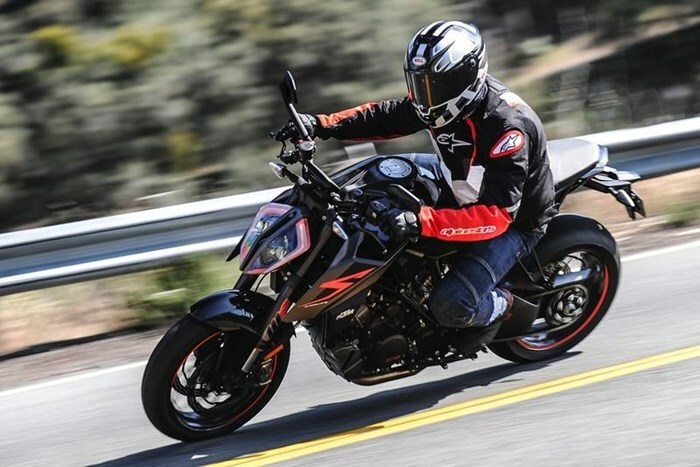 Tubeless wheels, 17-inch front and rear, with the latest Metzeler M7RR tires offer tremendous traction on asphalt and let you exploit the bike’s capabilities to the fullest. Feedback? Check. Safety? Check. Fun? Double check. ERGONOMICS & COMFORT The powerful and cultivated engine enables either super-sporty propulsion or, when required, relaxed and comfortable riding – with every conceivable level in between. The chassis combines lightness with outstanding geometry and fantastic suspension, which, together with every feasible electronic riding aid, allow undreamed riding pleasure in all conditions and whatever speed you desire, from very relaxed to very, very fast. BODYWORK & GRAPHICS The bodywork with sharp rear end, extended tank spoilers and air intakes, the ultra lightweight chrome-molybdenum steel trellis frame and the ready to race WP suspension components convert brute power into a usable tool. The elimination of plastic parts shouts 'NAKED' and create a BEAST which is always READY TO RACE. SOFTWARE & ELECTRONICS Conquer the streets and the racetrack with unique look and features that contribute to exploit the full potential of the BEAST. 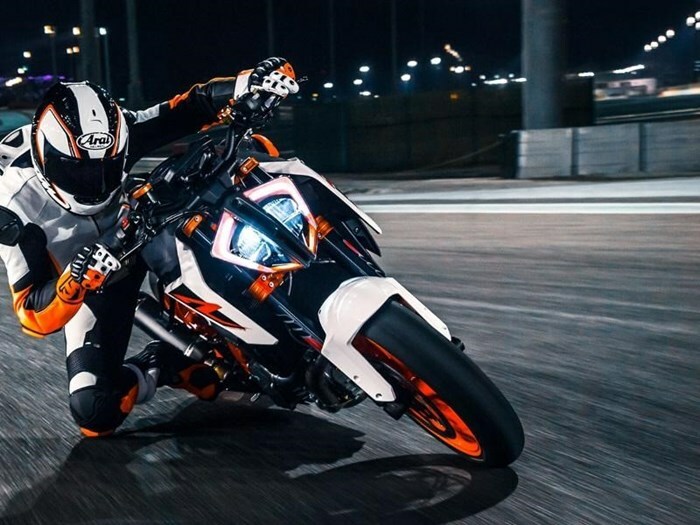 Unrivaled braking from world market leader Brembo and assistance systems (MTC and lean-angle sensitive ABS), developed in close collaboration with Bosch, round off the package and help the 1290 SUPER DUKE R into a clear lead straight from the start in terms of ride dynamics and safety. 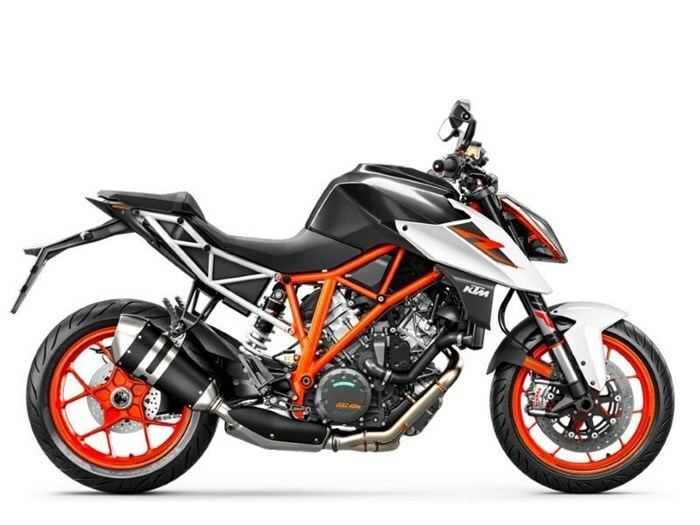 ACCESSORIES & LUGGAGE KTM know its customers like to modify and to travel, which is why the PowerParts range boasts a huge variety of accessories and luggage options across its Street range of sportmotorcycles – past and present. All PowerParts are developed alongside their chosen machine, meaning that KTM riders only get parts that perfectly complement their ride and provide that important ‘factory fit’ straight from the dealer.